We have recruited a pool of talented employees, who gives their 100% effort to offer a remarkable range of Elastic Webbing. Our webbing's have high load bearing capacity, thus are used on sofa and reclining chairs to support seat and back cushions. 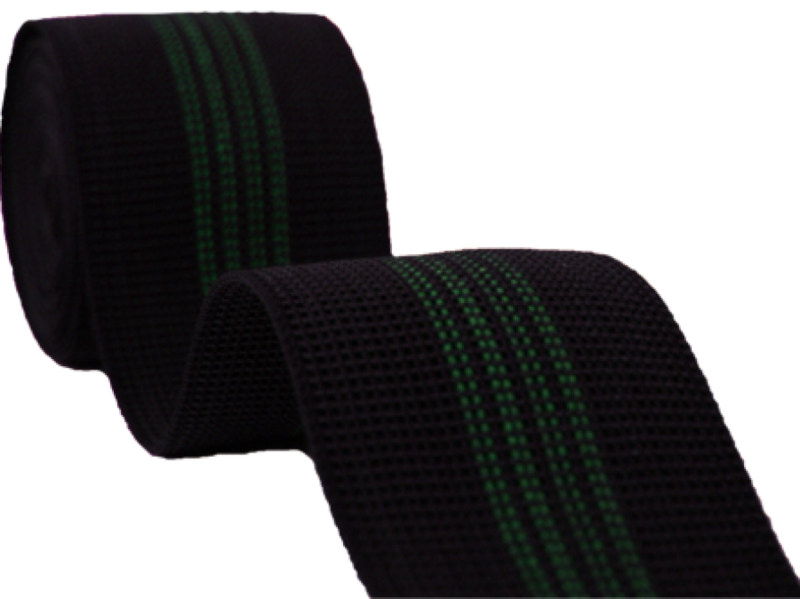 Our Elastic Webbing's are designed from optimum grade yarns with an inlay at our vendors ultramodern machining facility. Furthermore, we offer these webbings to the clients in diverse sizes of 2 inch & 3 inch. Its features include: Flexible design, High tear strength, Durable.